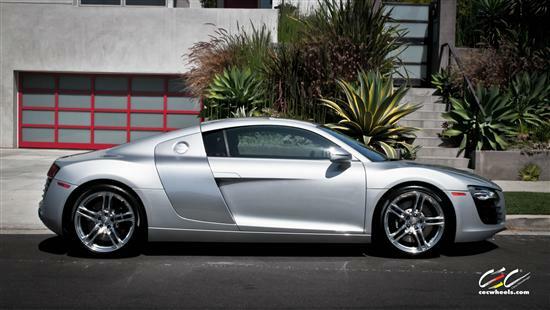 Beverly Hills Staple, CEC Wheels is selling a 2012 Audi R8. 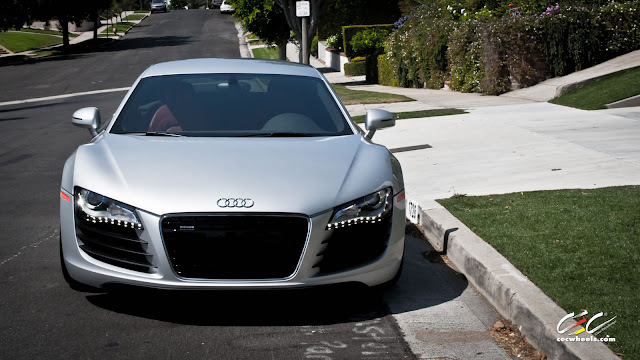 According to the exotic aficionados, "Finished in a gorgeous Ice Silver Metallic with Oxygen Silver sideblades over Red leather interior, this R8 is in immaculate condition and the factory warranty is in effect until October 2015, or 50,000 miles (Bernie's note: whichever comes first). 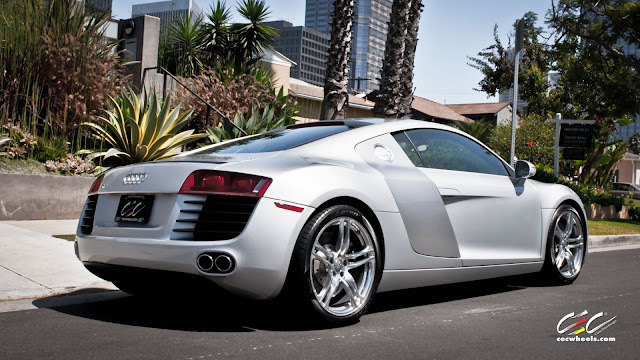 The Audi R8 is based on a legendary Lamborghini Gallardo, however the R8 is designed to be a far more usable, everyday mid-engine supercar. It has more head room, comfortable seating, and is much more user friendly than its sister car from Italy. This doesn't mean it's been dulled down in any way, with a 4.2L V8 and Audi's Quattro All-Wheel Drive System making sure all 430 horses make it to the ground. 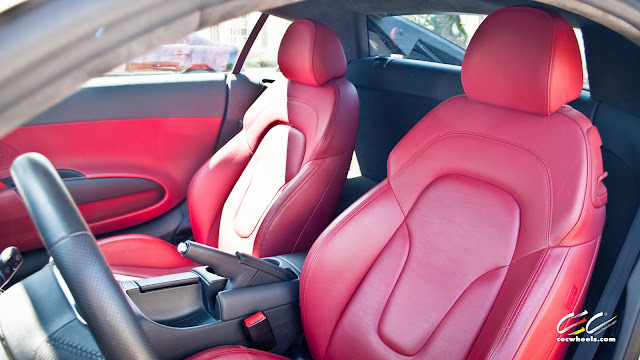 Basically what CEC just said is that the Audi R8 is a more practical exotic car. Before you start dialing Claus at 310-203-3900, Bernie has to give you a little tough love. If your house isn't as exotic or luxurious as this car, do not entertain the thought of purchasing this. You can't live in Watts and drive this, and if you do... you need to log off my blog and call up an accountant and a life coach. But if there's a chance that you do have enough money to own this vehicle, as well as the maintence for it, by all means call CEC Wheels. I wonder how far CEC Wheels is from the Ihop that offers valet parking? Where I'm from, Ihop doesn't have valet parking, in fact, it barely has parking.